Who else and thinks our city is cool ? – WhatZupBristol! What has Narnia got to do with Christmas? 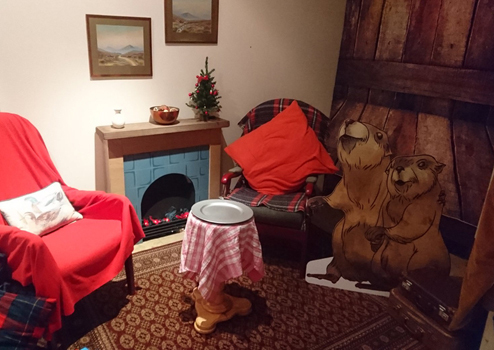 The Ark Bus team invite you to explore their Narnia at the Christmas Story Box to find out – you’ll become part of the Narnia experience. Make a gift or decoration. Relax in Mr and Mrs Beaver’s front room. There is no charge for any of these activities, but donations for the Bristol Methodist Church will be welcomed. The Ark Bus team invite you to join them for a Christmas Singathon next to the Christmas Tree in The Galleries from 1.45 – 2.45pm on Saturday 22 December. They will be supporting nextmeal.co.uk and raising awareness of homelessness in Bristol. Song sheets will be provided. Next Meal has been set up by a group of volunteers who work at the Muswell Hill Soup Kitchen – they had an idea to create a site that can direct homeless people to food and support 24/7. Their aim is to help people in the UK who are homeless or in acutely difficult circumstances. We also hope that it will be a useful tool for statutory organisations and charities working together to reduce street homelessness in the UK. The post Christmas Story Box in The Galleries appeared first on Bristol Shopping Quarter. Previous PostPrevious who else believes is a fantastic place to live ?